"A return to what dresses were always meant to be — a one-piece outfit. No need to add anything...no tank tops, no cardigans, nothing (except accessories, of course!)." I love dresses. Next to jeans, they are probably the most common article of clothing in my closet. They make me feel...like a woman. There's no hassle putting one on. They can go from day to night. Dresses are a necessity. I recommend you never leave home without attempting to at least try one on! My discovery of Shabby Apple was first made after reading a post on Cutie Booty Cakes. Looking back, I realize the dress that Renee's dress in her photo is the same dress that now comes in kid sizes. How cute is that? It's the perfect opportunity to dress alike for a mother-daughter outing. 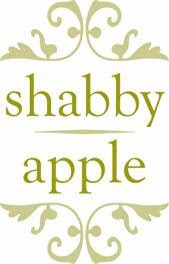 Shabby Apple has an endless amount women's dresses and little girls dresses at http://www.shabbyapple.com/. But there is so much more on the site as well. They also carry skirts, jewelry & accessories, swim, fitness, wedding, arts & crafts, and kids. How is that for meeting your needs? Shabby Apple also focuses on helping women worldwide. Through our charitable work with women throughout Asia and Africa, we are able to convert dress sales into lifestyle changes for women and children. Military-inspiredCotton Poplin with 2% spandex. Machine wash cold, delicate cycle. Line dry. One (1) Mommy 2K reader will the LA NOCHE NEGRA dress (pictured above) from Shabby Apple. Where would you wear this dress? Girls Night Out? Date night? Party? You decide. Can't wait for the giveaway to end? Use promo code MOMMY2K10OFF at checkout and save 10% on your order. Giveaway will end August 7, 2011 at 12 noon EST. Open to US residents age 18+. Winner must leave an email or some other form of contact in their entry. A winner will be chosen using Random.org. A response is required within 48 hours of receiving the confirmation email. Another winner will be chosen if there is no response. Disclosure: There was no monetary compensation for writing this post. A complimentary dress will be given to a Mommy 2K reader. The opinions and views are my own. I really do LOVE dresses...and Shabby Apple. Shabby Apple has the best dresses! If I won, I'd wear it out to date night with my husband. We haven't had date night in ages! I would wear this dress for family photos! It would make me look like a simply chic and fabulous mom who actually has a sense of style. I liked Shabby Apple on Facebook. They have some awesome stuff! My email is tjandkd@gmail.com if I win this fabulous dress, which I hope I do! I follow @IamKeonte on FB! I would wear this when my best friend comes back this fall! Beautiful! The above comment should be I follow on twitter! Sorry! I now follow Mommy 2k on FB! i would wear this to an evening event with my husband. He often has dinners that he goes to for work and I could wear this to one of those dinners. I became a fan of your FB page using my personal FB account Laura Harders. Thanks! I'd wear this to work. I like Mommy 2K on FB. I'd love to win any number of Shabby Apple dresses and this one is gorgeous as well! I'd get a bright-colored bracelet, purse and shoes that are bright matching colors and I'd wear it to an evening event with my husband! I think it would be fab! thanks for the giveaway! I follow you on Twitter @Melahelen!